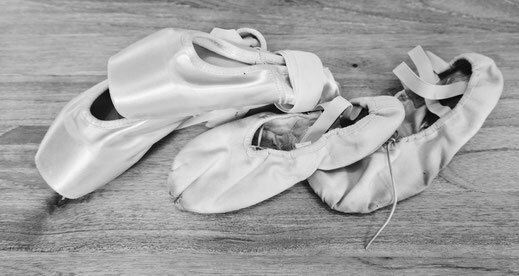 During the Summer Term Erin Taylor, one of our senior pupils, auditioned for the Pre-Vocational course at the Rambert School of Ballet and Contemporary Dance. Despite the stiff competition she was successful in gaining a place and is attending classes at Rambert on Saturdays. 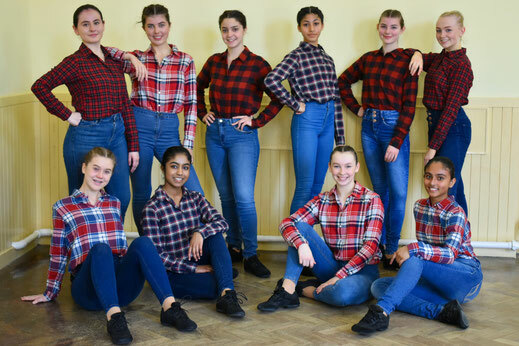 In addition to classes she also gets the opportunity to take part in various performances during the year one of which took place at Rambert in December. Well done on the fantastic achievement of gaining a place on the course Erin and we look forward to seeing you dance in other performances as the year progresses. 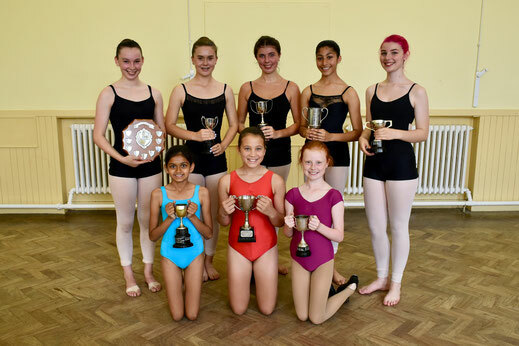 Congratulations to all our pupils who took ballet exams in July. The results were outstanding. A total of 28 pupils took an exam and there were 15 Distinctions and 13 Merits. I special mention must go to the Grade 6 candidates who all received a Distinction. The top mark of the day was a 95 which went to Erin Taylor for her Grade 6 Ballet. Congratulations to all our pupils who took part in the end of term concert and to all of this years prize winners. After an extremely busy and successful year it is time to us to say goodbye to several of our older students who are going on to University and Higher Education. Some of you have been coming to classes from the age of three and we wish you all the best for the future. Congratulations to everyone who took part in the Wizard of Oz at Watersmeet theatre. Every pupil from our youngest "chick", right through to our senior students rose to the occasion and produced a fabulous show. We hope that you all took away some great memories from the week. 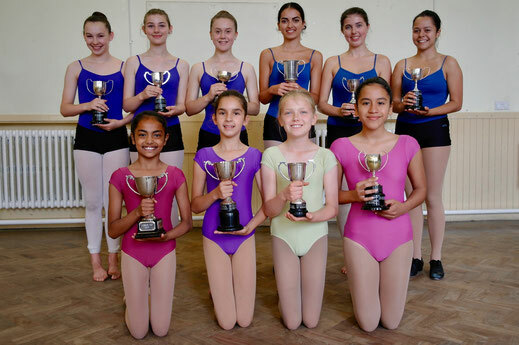 Congratulations to our pupils who took part in Ruislip-Northwood and Slough festivals last week. Erin and Ruby bought home 17 medals between them. Erin also won two cups at Ruislip-Northwood, one for the Character and the other for the Best All Round Dancer. 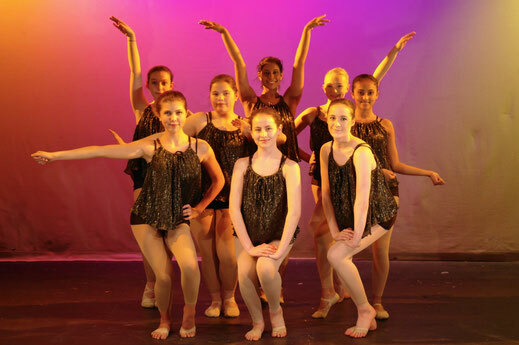 She was invited to dance in the Ballethoo challenge at Ruislip-Northwood and also Slough's bursary class. Well done girls. 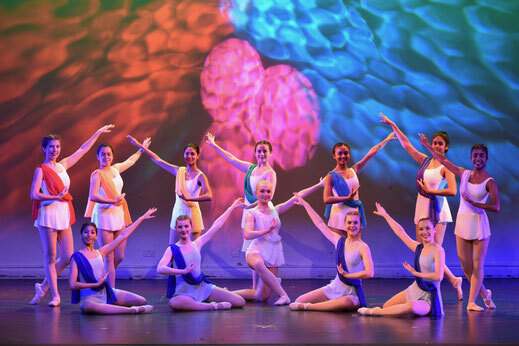 Our next school show will take place at Watersmeet Theatre, Rickmansworth on Saturday 28th and Sunday 29th April 2018. All our pupils will be taking part and the shows theme will be announced shortly. This years show will be a dance version of The Wizard of Oz. The cast list appears on our dancing school board. Congratulations to all of the pupils who have won school cups this year. The cups were awarded at our end of term concert that took place on the last Saturday of term. It was lovely to see so many in the audience and all the girl's danced beautifully.